Is there a video on creating SGP filter offsets for autofocusing? I have looked around quite a few focusing videos which are super helpful but I’m yet to find out that covers the topic of creating offsets for the filters. Ideally, I would like for the focuser to move the approximate filter focus position and then run an autofocus on the filter. So, if it green focus is at 177205 (focusing position), and Ha is at 18347, I would like a method to determine every approximate focus point for each filter and then when I switch filters, for instance to Ha, I would like for the focuser to move to that position (18347) and perform an autofocus for the specific filter. If you have any references, please share. Ideally, I would like for the focuser to move the approximate filter focus position and then run an autofocus on the filter. SGP can allow either. It can be told to focus with one filter, and use only offsets for the others, or it will use the offset, and THEN focus with the others. You have to decide which. Ok, I hope this is a typo. I’m going to presume there’s not a 160,000 step difference between Ha and Green. That is not what happens, and there’s a good reason for it. Ok, so the “offset” isn’t a number you enter anywhere. it’s merely the difference between your starting focus points. If you start green at 15000, and start Ha at 15500, the offset is 500…and it will always be 500, regardless of where green is actually focused at. So let’s say you start a session, and you autofocus with green. Because of temp, humidity, whatever changes, green winds up autofocusing that night at 14950. Fine. You shoot a few frames, temp changes a couple degrees, you autofocus green again, and it’s at 14900 now. Still good. Green is focused, everyone’s happy. Now, you change to Ha. The focuser will move to 15400 (NOT 15500) because the offset from green is +500. SGP knows you’re on green, you’re in focus, and Ha was green+500…so it moves +500. It neither knows nor cares (other than doing the basic math) that the filter settings say “15500”…it just knows “15500-15000 = 500”. To SET your offsets then, you basically just autofocus EVERY filter in a single testing run, save those numbers, and bam…you have your offsets. Fire up the rig, slew somewhere with a good number of scattered stars for focusing. Focus with, say, green. (Start with any filter you want, doesn’t matter, you just mentioned green so…green). Let’s just say, for example purposes, it winds up focused at 14000 tonight. In Control Panel -> Focus click “Set Focus” to set Green’s focus point to 14000. UNCHECK the box for “Adjust all other filter focus points”. Change filters to any other filter you wish. Let’s say, Red. Control Panel -> Focus -> Set Focus. Repeat this process for each filter, being sure to not change the other filters’ focus points each time. Ta da. You have offsets. If you go to Control Panel -> Filters -> Define Filter List, you will see the “Focus Pt” for each filter. The difference between any 2 is the “offset” for that pair. Now, what will SGP do with this info? Depends on what you tell it to do. There are a BUNCH of options. In Control Panel -> Focus you’ll find a checkbox for “Auto adjust focus per filter”. This will cause SGP to move by the offset between current and new filter any time the filter changes. All other autofocusing steps aside…when you change filters from X to Y, SGP will check the difference between X and Y, and move by that much. In the auto focus settings, there’s a box for “Auto Focus On Filter Change”. If this is checked, then any time you change filters, SGP will autofocus with the new filter. If you’ve told it to Auto Adjust per filter, then it will apply the offset first, before autofocusing. There’s another box for “Auto focus with filter (dropdown to select filter)”. If this is checked, SGP will always change to the selected filter to autofocus. It will apply that filter’s offset or not depending on what you’ve said above to Auto Adjust. Once that filter is focused, it will change back to the requested filter, again applying the offset or not as told to do so. There’s several ways you can go about it, really…and much of it depends on how you like to image. I, for example, prefer to cycle through filter events when imaging…so autofocusing on filter change would be a nightmare for me, as I’d be autofocusing each frame! So instead, I autofocus with filter (Lum in my case), auto-adjust per filter, and do NOT autofocus on filter change, instead relying on the offsets to keep me in focus. Especially handy when I’m shooting NB, because NB focus runs can take a very long time, and can produce some questionable results on certain types of targets. If you prefer to work through an entire event at a time, then you might instead want to enable “auto adjust per filter” and “auto focus on filter change” and NOT use “Auto focus with filter”. This way, SGP will autofocus when needed (temp, number of frames, etc) with whatever the current filter is, apply a reasonable offset when changing to the next one, autofocus that one to tweak focus, and move on. Works well for broadband, but can be problematic with NB for the reasons described above. Regarding your description, it’s interesting to me that you seem to make the changes through control panel instead of profile manage, which means, it’s only applicable for the specific imaging event and those offset are not set permanently in the profile manager, is that ok? If yes, it means to calculate offsets for every single session, is that what you meant? Another interesting point is how you image. It seems like you trust your offsets 100%, like no need to autofocus with filter change, but you said at the beginning that changes in temperature can throw your initial focus off and then it will throw ur offsets off but I think you also said that you only image with one filter per session? I was planning to do image and centering with green (because I don’t have lumb) and the imaging with Ha. And last, how do you specifically in SGP which filter sets the main position and which ones are offsets? For instance, I want to say Green is Focus Pt 17435 and Ha is +500. How do I tell SGP that Green is the main focus point and Ha is the offset? That was merely for descriptive purposes of where to set these things. Everything above applies to an equipment profile as well, and yes, I have moved these things to profiles for permanent use. Correct. The offsets work fine for me. Temp changes will change the focus point of any given filter, but do not change the offsets significantly, at least in my case. That is to say - Green may focus at 15000 at 0° C, and 16000 at 20°C, but if Red was 15250 at 0°C it’ll be 16250 at 20°C…or at least, still within critical focus at that point. I suppose there may be SOME variance with SOME filters…just have to do your own testing and checking. if you DID find different offsets in, say, warmer temps, then you could perhaps have summer and winter profiles, or something similar. I think you also said that you only image with one filter per session? No, sorry if I wasn’t clear. I cycle through events every session. So, if my session has RGB events, I’ll shoot an R frame, G frame, B frame, then loop back around to R again. And last, how do you specifically in SGP which filter sets the main position and which ones are offsets? There is no “main position”. Offsets are simply the difference between any two filters. Focus with any filter. Doesn’t matter which one or how (B mask, autofocus, manual, whatever). Get that filter, let’s call it “Filter A” focused. Record the focuser position. Say A focused at 12000 this time. Change to any other filter. Filter B. Focus it. Again, doesn’t matter how. Let’s say it focuses at 12700. The offset between A and B is A+700. From B to A is B-700. That’s it. There’s no “main position” or “master filter” or anything like that. We simply know that A focuses at 700 steps less than B. From now on, it doesn’t matter which of those two you start with, or what the conditions are, or anything else. If you get either of them in focus, then you know where focus is for the other. Take a look. You know the difference between any pair of filters. So…no matter where you are or what you’re doing, if any given filter is in focus at this moment in these conditions, then any other filter will be in focus by simply adding or subtracting the appropriate difference. E is 500 more than C…so if E is focused, move 500 steps in, and C will be. So, in your case…you say you want to focus and center with Green. Fine! Let’s say Green is “C” in our example above. Set your autofocus settings to always use Green, and to auto-adjust per filter. So your sequence starts. It’s probably going to be “close enough” to focus for green from the last time you imaged for autofocus to work. So, autofocus runs (using green) at sequence starts, and winds up getting green in focus at 12634 this evening. SGP changes to Ha (Let’s say it’s D in our example above). Offset from C to D was C-700. So, it moves the focuser to 11934, changes to Ha filter, and off we go. Shoot an Ha frame, then change to OIII (E from above for example). Ok, D to E was D+1200. So it moves to 13134, changes to OIII, takes a frame. This process repeats until something triggers an autofocus (say, 2° temp change) Say you’re on OIII (13134). Ok. E (OIII) to C (G) was E-500. It moves to 12634 (Notice that’s JUST where we started with G in focus at the beginning of the night! ), runs autofocus with Green, and now focus is at 12598. Back to Ha for a new frame, Ha (D) is still Green © - 700…so it moves to 11898, changes to Ha, and off we go. Key point here is that while the point at which any given filter focuses may change in any given set of circumstances, the difference between any pair of filters is generally much more consistent. MOST changes to focus point that happen throughout a night are a function of changes in the OPTICS (mirrors, lenses, tube, etc) and not the filters themselves. So, yeah…you may need to “move in by 100” to focus when temp/humidity/whatever changes, but you should need to “move in by 100” (or pretty damn close) for every filter. This is never a perfect science. Keep an eye on things, do multiple passes to find good averages, and yes, maybe you need different profiles for different seasons as described above. I don’t, others do, YMMV, that sort of thing. You say you’re running both NB and RGB filters in one set. Just be aware (and this isn’t an offset-specific thing, just general comment) the offsets from NB to RGB filters can often be quite large, thus causing difficulties using an OAG. Depending upon the amount, severity, and/or cause of any focuser backlash you may have, strict management of focuser backlash compensation can be essential to relying strictly on offsets. Kudos for excellent, concise answers! 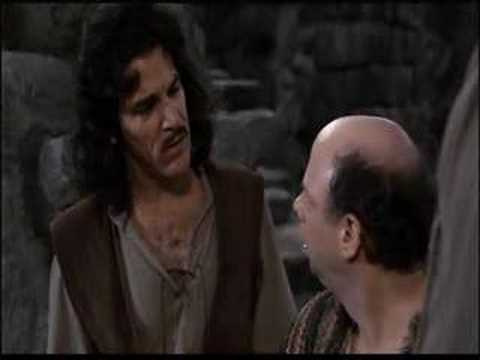 Princess Bride is one funny movie. I especially like when Wallace Shawn always says “INCONCEIVABLE”. Fantastic answer. It clarified a lot of stuff for me. Now, I understand that in SGP, we record the focusing positions for each filter and offsets are calculated by SGP based on each focusing position. Offsets, it’s not something “I care” but SGP cares to know how to adjust focus from filter to filter. I said “I care” because I think your comment about NB and RGB filters in the same wheel is very valid about having too much of a difference offset-wise between them, so I need to experiment with it a bit to find the best values. The only thing that I thought it was a bit unclear was the aspect that perhaps, I understood wrong but I think you advice against filter on every filter change because it can take too long, right? Other than that, it should be ok.
Hi gboulton, that is the best description of how autofocus with offsets works in SGP that I’ve seen. It confirmed some of what I thought I knew and clarified some other aspects. During periods of doublful seeing I’ve often wanted to shoot LRGB-LRGB-LRGB, etc rather than completing each filter sequence, but I’ve always set autofocus on filter change, so that is a nightmare scenario. Now I think I know how to modify my set up to allow that to happen, when I want to rotate capture through each filter one frame at a time without the huge downtime of autofocus every frame. Your description should make it into the manual!! !